2015's The Fantastic Four reboot has had a lot of people apprehensive. The original two were generally hated and the filmmakers of the new one have made some drastic changes from the original content. I, however, have not personally had a problem with anything they've done so far. The film comes out next summer and we've gotten barely any information about the movie. All we know is the cast and some select details. Now, Fox Studios has released a synopsis for the upcoming movie. "THE FANTASTIC FOUR, a contemporary re-imagining of Marvel’s original and longest-running superhero team, centers on four young outsiders who teleport to an alternate and dangerous universe, which alters their physical form in shocking ways. Their lives irrevocably upended, the team must learn to harness their daunting new abilities and work together to save Earth from a former friend turned enemy." This just reaffirms something I've suspected for a while. They've said that they are going to update the Fanastic Four and make them fit into our modern world. This makes sense, since they were first created in the 60's and could use a modern interpretation. I've suspected that the new movie would be heavily influenced by the Ultimate Fantastic Four comic books. For those of you who don't know, at the very beginning of the new century, Marvel Comics rebooted all their big titles into a new, updated, 21st Century universe called the Ultimate Universe. A lot of the more recent comic book movies have taken inspiration from these stories as their entire purpose was to make decades old characters relevant again. 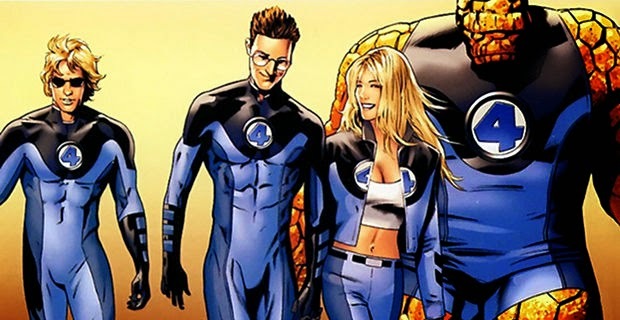 This is, essentially, the purpose of this new Fantastic Four movie. The plot is pretty much the same as the Ultimate comic book. It was that story line that had younger characters and did a lot of cool, interesting stuff with them. I've never really been big fans of the Fantastic Four, but I did really like their Ultimate run. And if Fox is going to model their new franchise after that, then I'm game. What do you think? Do you like the sounds of the plot? Are you looking forward to The Fantastic Four? Leave your thoughts in the comments section below.